So I have a really fun post today! It is a Hair Inspiration post! I do these posts every once in a while and if you're new to this blog, it's pretty much when I go on pintrest and find fun pictures to put in a post! So here we go! So something that I really want to start doing is braiding my hair! 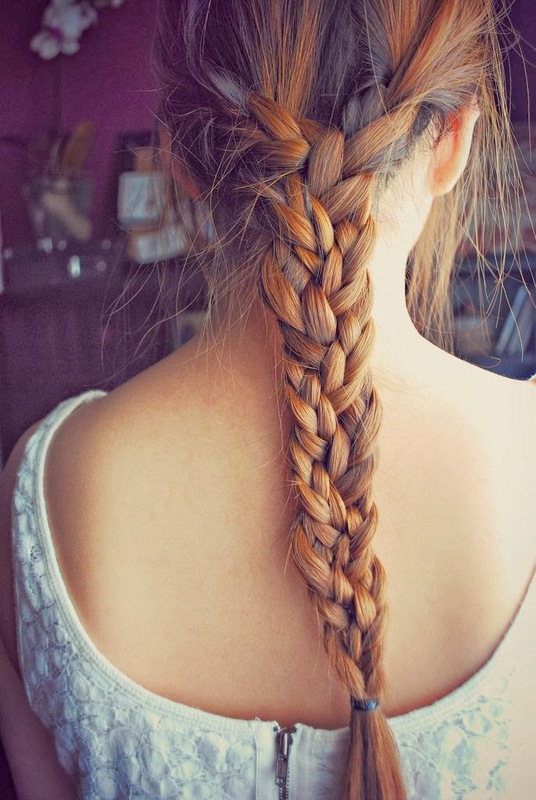 I hate having hair in my face during class when I'm taking tests and stuff, so I usually throw it into a bun or a ponytail, but I think that if I could do a cool braid like this one, it would look so much better! I am also very in love with red hair! I really want to dye mine, but I can't bring myself to do it because I am very afraid of the upkeep because if you don't know, red fades very quickly due to the large particle sides. If I could dye my hair, I would want it like the color in this picture or even the slightest bit darker. I also want to start doing messier updos! They look really cool and casual, but I have to find a way to do it that looks thrown together instead of gross and weird because I have a lot of baby hairs that look kind of weird when I try to do messy buns. I will do a post if or when I find a way to do it! So that's my hair inspiration! Don't forget to follow this blog if you like these posts and leave a comment letting me know what your hair inspiration is! thanks Hope! and I have the exact same problem! I always try to do a messy bun, but it never looks the way I want it to! Sephora Mini Glitter Liner Set Review! My 5th Liebster Award Nomination! Christmas Day Outfit of the Day! Red and Black Ombre Nails!